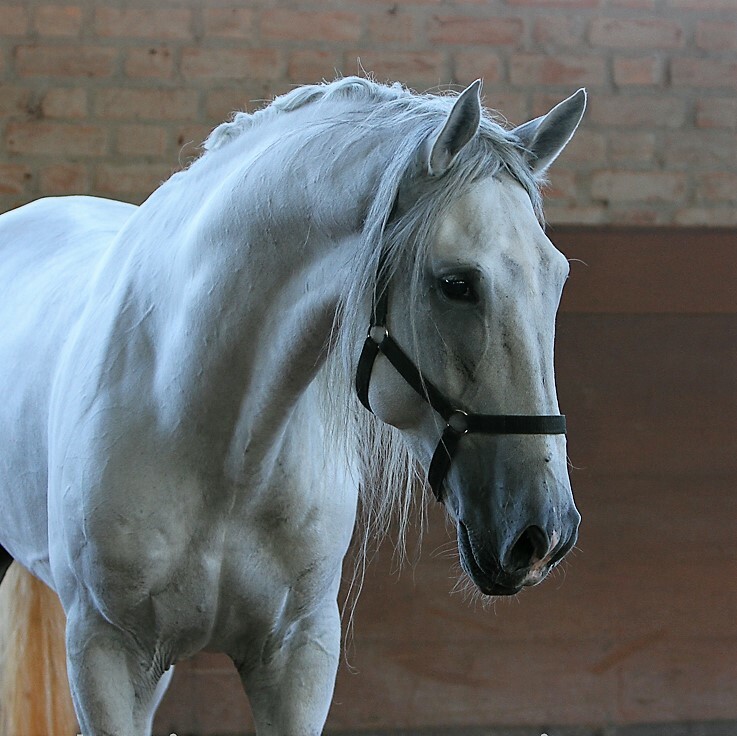 Son of Ofensor (MV), who is considered, without contest, the best stallion of the modern Lusitano breed. Ofensor not only won the highest morphology prize – Great Champion of the Golegã fair in 1999, but, what is much more important for the ranking of a stallion, the Sire-Progeny Great Championship in Lisbon, 2003. 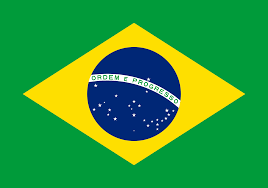 Also in Lisbon, his offspring won, among others, the following titles: Champion 2-years-old Colt, Champion of Champions; Champion Mare; Champion 2 year-old Filly. 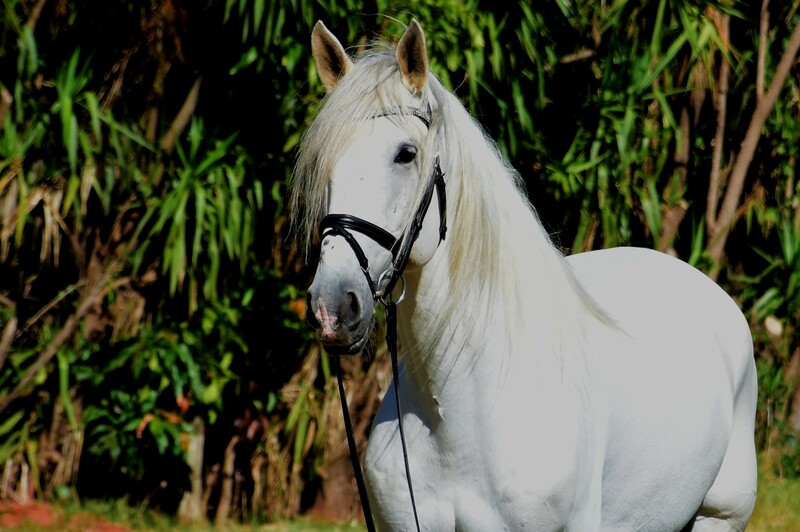 Ofensor comes from what is considered one of the best and most noble heritages of the modern Lusitano breed, the famous Firme (SA)/Nilo (MV)/Novilheiro(MV), probably the lineage of greater influence in the present day Lusitano horse. His father, Danúbio (MV), undoubtedly one of the most important stallions of the Lusitano breed, as his son Ofensor (MV) was also the Great Champion at Golegã and received the very exclusive title of Champion of Champions in Lisbon, 1987. Danúbio (MV) – imported by Interagro – left a constellation of sons and daughters of superior quality, both as individuals and as sires or dams of extraordinary offspring, such as Oceano (MV), Quixote and Quantum Interagro. The latter two, together with Ofensor (MV) himself, form the unequaled triad of Interagro’s Official-Stallions. Ofensor’s dam, Tricana II (MV), by Lidador II (MV) and Medronha III (MV) is a grand-daughter of Boca-Negra (BN) and her maternal grandmother, Oferta (MV), by Bailador (MV) is also the dam of Venturoso III MV. Therefore, Ofensor’s pedigree combines the most prestigious bull-fighting lineages with the precious athletic power of the Firme (SA)/Nilo (MV)/Novilheiro (MV) heritage, from which, Nilo (MV) happens to be Ofensor’s great-great-grandfather. 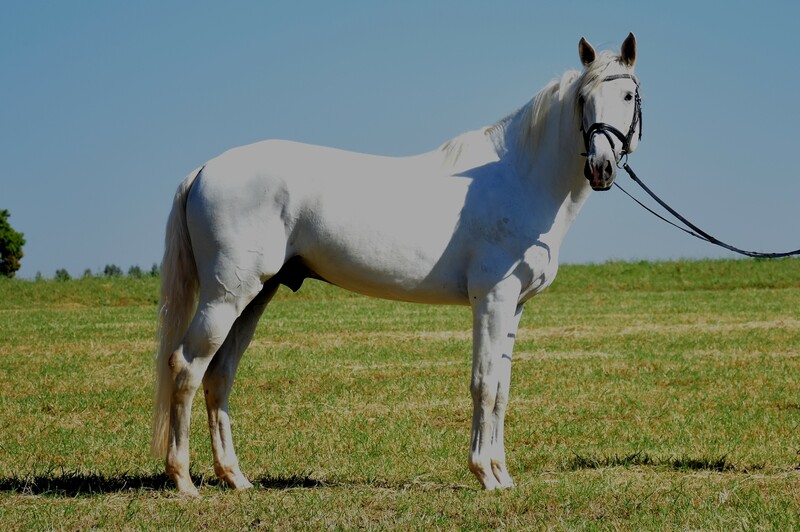 Ofensor served at some of the most prestigious Lusitano studs in Portugal, like his breeder Manuel Veiga (MV), Sousa Cardoso and Sociedade das Silveiras (SS) before being imported by Interagro in 2001.